This year we have a total 31 labs. Attendees can sit as few or many of these labs as they’d like. Each lab is designed to be 60 minutes in length, though as these are self-paced (step by step) labs attendees can sit the lab at their own pace. What does the HOL Layout Look Like? 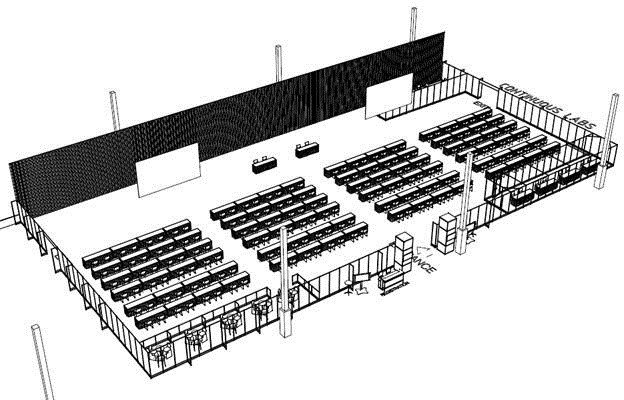 We have a total of 200 seats where attendees can come and sit any of the 31 labs. There are representatives from all BUs and the SD Specialist and SE teams, who will be supporting their respective labs, along with seating the attendees ensuring they have a great HOL experience. Where is the HOL Located? 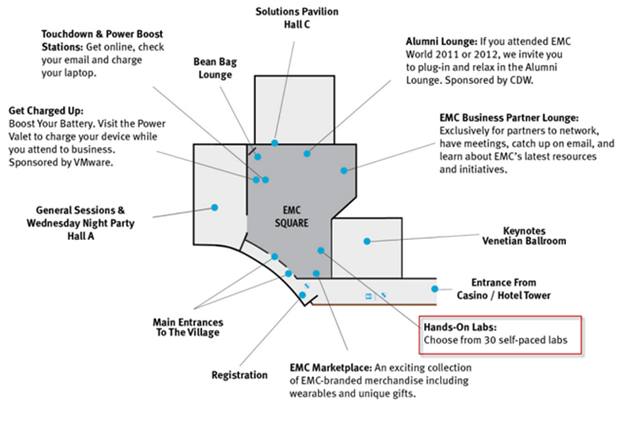 The labs are located on the 2nd floor of the Sands Expo Hall at the Venetian – immediately on the right hand side as you enter the EMC Village. The backend infrastructure is run out of our massive Durham data center, with the infrastructure being based on VCE Vblock architecture. 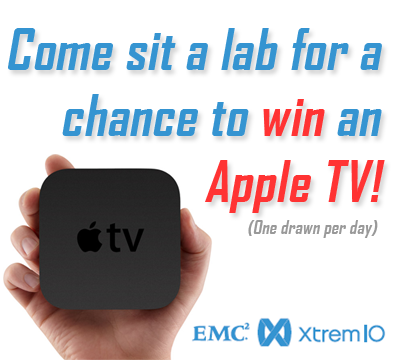 *Note: we are also running eight XtremIO bricks to serve up the content. 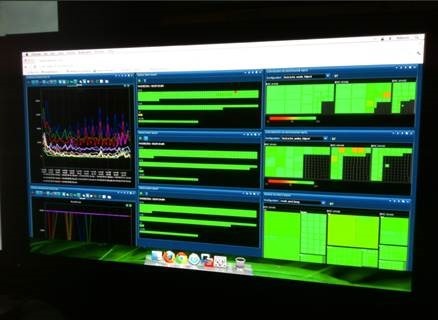 We will have representatives from these product teams to walk through a demonstration with attendees, showing them what is happening “under the hood” of the HOL Cloud infrastructure (eg: compute, network, storage utilization, etc) using the various products mentioned above. We are running a number of competitions at the HOL, with spot prizes, giveaways and a daily prize draw of an Apple TV for those who sit a lab and complete the brief survey at the end. Previous Post Previous post: RecoverPoint 4.0 – Finally!